New Horizons has provided our closest ever look at this fortunately found dwarf planet. Credit: NASA, Johns Hopkins Univ./APL, Southwest Research Inst. The planet Pluto was discovered because of a mistake. In 1821 Alexis Bouvard published a table detailing the orbit of Uranus. Other astronomers quickly noted that there were some irregularities, and hypothesised the existence of another planet pulling Uranus out of line. After several more refined predictions, an approximate placement of the 8th planet was found. In 1846 Johann Gottfried Galle at the Berlin Observatory discovered Neptune, just where it was predicted to be. It wasn’t long before tables of Neptune’s orbit were published and these appeared to show that they were being pulled out of whack by a 9th planet, dubbed Planet X, though the effect was much smaller. 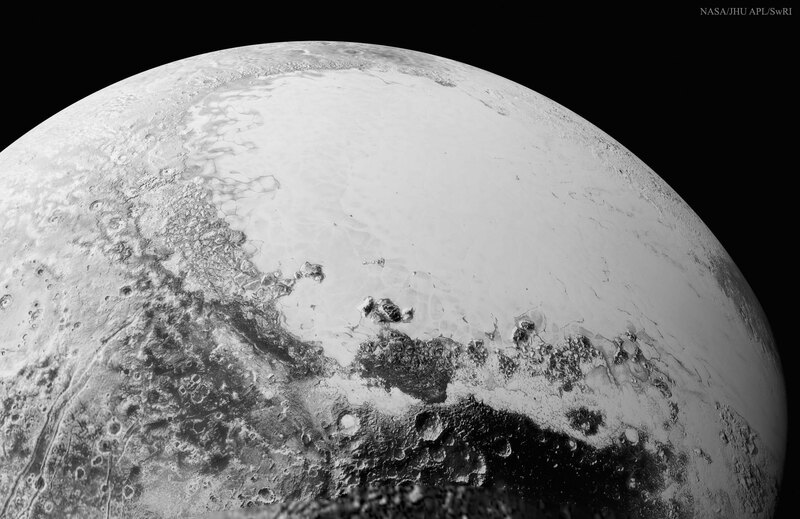 In 1930 when Clyde Tombaugh discovered Pluto it was quickly touted as the famed 9th planet. However, fame soon turned to infamy. The planet was far too small to disrupt the orbit of the massive Neptune (1186km in diameter according to New Horizons). Though the apparent perturbations have since been shown to be observational error, there are still people who hunt for Planet X (some believing it to be the harbinger of doom, or about to crash into Earth and kill us all). However he WISE infrared survey discounted the presence of a large body out to a distance of one light year, so its not looking likely for any killer planets.